At Grunden Financial Advisory, we maintain a culture of compliance where our employees understand their roles in complying with the Securities & Exchange Commission (SEC). We endeavor to go beyond basic compliance to a higher standard of ethics and accountability. We provide information to non-affiliated third parties only as permitted by law (for example, Federal and state regulators may review firm records as permitted under law). We will share information regarding your account with other third parties, such as your accountant or attorney, only with your consent. Grunden Financial Advisory, Inc. is dedicated to providing world class service to our clients so they can focus on what is important to them. This commitment includes the development of plans to address disruptions in our business operations due to a physical or personnel disaster. We first take steps to prevent data loss while ensuring a high level of security. Critical activities have been identified, recovery and resumption plans are written, and the Business Continuity Plan is tested on a regular basis. In the event of a disruption, Grunden Financial Advisory, Inc.'s Business Continuity Plan will permit the firm to maintain business operations as close to normal as possible. If this plan is activated, we will update our website within 24 hours to inform our clients about what has occurred and alternate means of how to communicate with us, if applicable. We will then e-mail clients within 24 hours with additional information about the occurrence and call those clients who don’t have email. Although Grunden has taken significant steps to develop and implement sound business recovery practices, after a significant business disruption, clients may experience service disruptions as the firm recovers. We continually test the Business Continuity Plan and look for ways to improve to make sure we are consistent with industry best practices. To view our Business Continuity Plan, please contact us at info@grunden.com. Administered by fi360, the Accredited Investment Fiduciary® (AIF®) professional designation is the industry's first and only designation that demonstrates knowledge and competency in the area of fiduciary responsibility and communicates a commitment to standards of investment fiduciary excellence. Holders of the AIF® mark have successfully completed a specialized program on investment fiduciary standards and subsequently passed a comprehensive examination. AIF designees have a reputation in the industry as being the best positioned to implement a prudent process into their own investment practices, as well as being able to assist others in implementing proper policies and procedures. 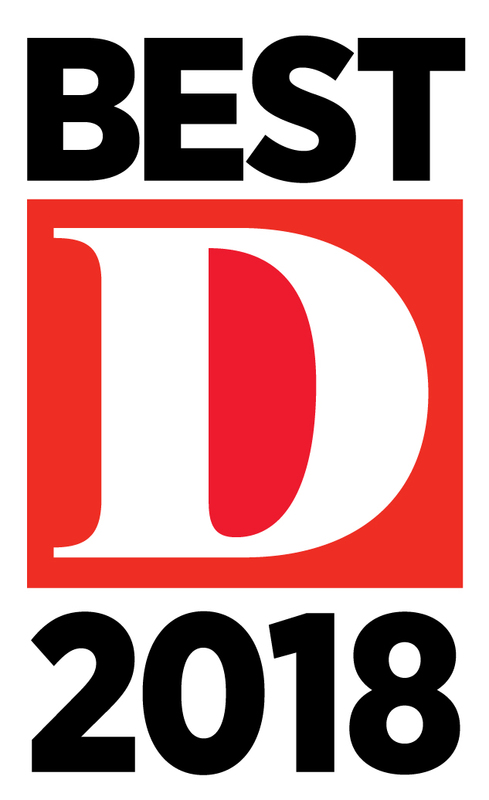 D Magazine asked every Certified Financial Planner in the Dallas-Fort Worth chapter of the Financial Planning Association to cast an online ballot. They were asked to name peers, both inside and outside their firms, whom they considered to be the most skilled and experienced financial planners in the industry. Outside-firm votes counted more than inside-firm votes. Self-nominations were tossed out. A panel of esteemed local financial planners reviewed the list. Only CFPs made the list. In 2018, 750 votes were cast, and a total of 235 individuals were nominated. Of these, 91 were selected. D Magazine asked every wealth management firm and team in the Dallas-Fort Worth chapter of the Financial Planning Association, Chartered Financial Analyst Institute, and the Investments and Wealth Institute to tell us about their practices. The final list was selected based on these criteria: top firms or teams must have total assets under management for individual clients of at least $100 million; average assets under management per client of at least $1 million; a 95 percent client retention rate over the last two years; and no current disciplinary action. Additionally, all firms (or teams, should the team be applying as an entity separate from its parent company) must have been in existence for at least five years as of the application deadline. They must also hold themselves out as fiduciaries for their clients and provide them with a written disclosure. A panel of esteemed local wealth managers reviewed the final list. In 2018, out of the 44 that applied, 24 firms and teams were selected. The Five Star Wealth Manager award, administered by Crescendo Business Services, LLC (dba Five Star Professional), is based on 10 objective criteria. Please visit https://www.fivestarprofessional.com/ for a complete list of the criteria. Wealth managers do not pay a fee to be considered or placed on the final list of Five Star Wealth Managers. Award does not evaluate quality of services provided to clients. Once awarded, wealth managers may purchase additional profile ad space or promotional products. The Five Star award is not indicative of the wealth manager’s future performance. Wealth managers may or may not use discretion in their practice and therefore may not manage their client’s assets. The inclusion of a wealth manager on the Five Star Wealth Manager list should not be construed as an endorsement of the wealth manager by Five Star Professional or this publication. Working with a Five Star Wealth Manager or any wealth manager is no guarantee as to future investment success, nor is there any guarantee that the selected wealth managers will be awarded this accomplishment by Five Star Professional in the future. 3,851 Dallas-Fort Worth wealth managers wealth managers were considered for the award; 338 (9 percent of candidates) were named 2018 Five Star Wealth Managers. 2017: 2,730 considered, 382 winners; 2016: 2471 considered, 678 winners; 2015: 2,862 considered, 684 winners; 2014: 5,080 considered, 621 winners; 2013: 3,834 considered, 698 winners; 2012: 2,688 considered, 654 winners. 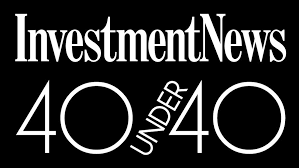 InvestmentNews is a national publication and each year, since 2014, they highlight what they consider 40 of the top financial advisors under the age of 40. This 40 Under 40 project aims to reveal the tremendous potential in the financial advice industry by finding often unrecognized young talent doing remarkable things. Key attributes they look for among the approximately 1,000 advisers and associated professionals nominated each year are: accomplishment to date, contribution to the industry, leadership and promise. Award winners do not pay to win or to be considered for the award.